Price to high for what you get. You would have thought my cat was starving!!! 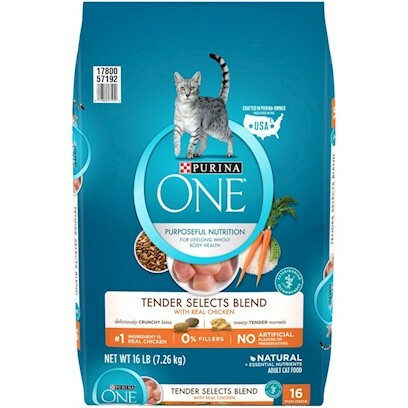 Our kitty loves Purina One! Great Product for My Picky Cat! My cats really liked it! My 16 year old cat purred for it! Cat was ready to chow down! Have a real pieces of chicken! Ok food, my picky cat did not care for it. Even my picky cat liked this! Amazing cat food, or at least mine thing so! Cat loves but my pocketbook doesn't like so much! Buy this, your cats will thank you for it! My cat loved it and so did my dog!! !